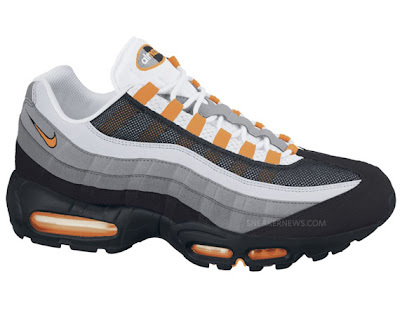 Nike Sportswear has employed the Bright Mandarin shade of orange on a number of retro runners this spring, and with two different Air Max 24/7s offering their own grey/white/orange mix, it seems only right to include the immortal Nike Air Max 95 in this discussion. 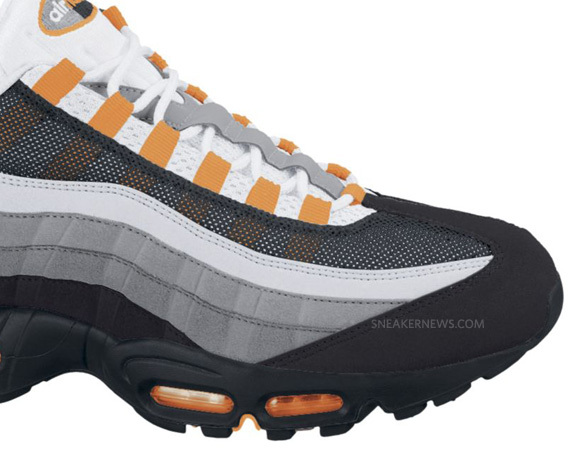 This upcoming pair of Ninety-Fives offers a slightly modified take on the classic grey-dient including a black mesh layer that converges into the aforementioned shade of orange on the eyelets. Proof that not all black and orange kicks have to look like a jack-o-lantern, these new Air Max 95s are slated to hit select NSW retailers during the first week of April so click through to see more and stick with BLVDAVE for word on the US release. UPDATE: YOU CAN PURCHASE THESE NOW ON EBAY ! 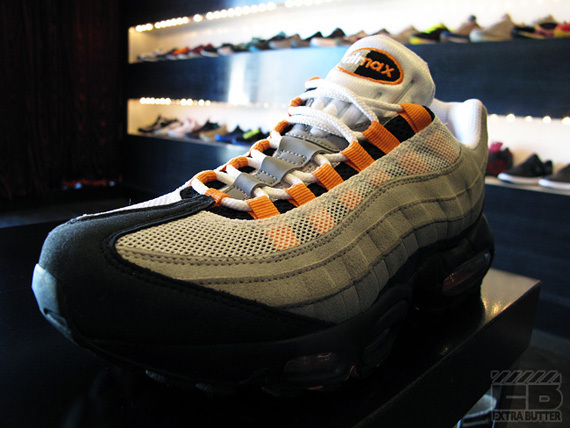 Click HERE for the link to em !! !